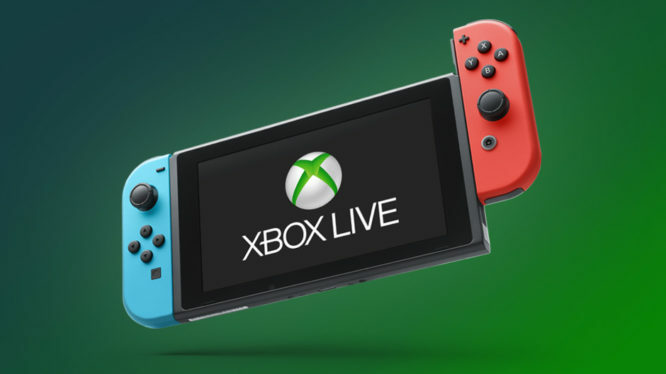 Microsoft has revealed that their new development kit will allow developers to utilise Xbox Live on the Nintendo Switch and mobile platforms. The news comes from a scheduled GDC 2019 session set to be presented by members of Microsoft’s Team Xbox. Nintendo Switch owners might be getting a lot more Xbox Live in future, if Microsoft’s upcoming GDC session is anything to go by. The presentation, which will offer a ‘first look’ at Microsoft’s latest development kit, aims to help “break down barriers for developers” by expanding Xbox Live from 400 million devices to over 2 Billion. Although it’s currently unclear which features Microsoft plan to make available on the Nintendo Switch, the description does mention how players will be able to take their gaming achievements, friends lists, clubs, and more to “almost every screen”. The session, which is geared towards game services engineers, also states that it would be of interest to developers who are planning a multi-platform strategy where players can “watch, buy, play, pause, and continue their games from one device to the next”. Microsoft’s presentation is set to take place at the 2019 Game Developers Conference (beginning March 18th) and is officially titled “Xbox Live: Growing & Engaging Your Gaming Community Across iOS, Android, Switch, Xbox, and PC”. Further details on how Microsoft new development kit integrates with Nintendo Switch are expected to be revealed closer to the event.